^ a b c d e "ACES Winston County Office" (links/history), Alabama Cooperative Extension System (ACES), 2007, webpage: ACES-Walker. ^ Quickfacts.census.gov - Walker County - accessed 2011-12-06. ^ Quickfacts.census.gov - Jasper, Alabama - accessed 2011-12-06. 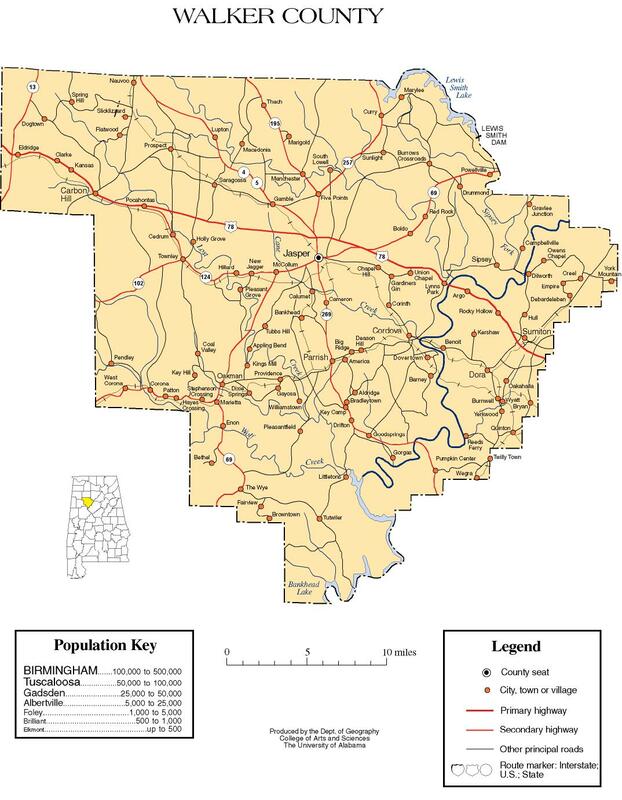 Walker County map of roads/towns (map © 2007 University of Alabama).